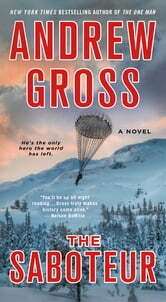 Based on the true story of Operation Gunnerside—the Britain-sponsored mission that sent Norwegian commandos into the Nazi-occupied Telemark region of their country to destroy the enemy’s nuclear weapons program—New York Times bestselling author Andrew Gross’s The Saboteur is a riveting World War II thriller of espionage and action. Kurt Nordstrum, an engineer in Oslo, puts his life aside to take up arms against the Germans as part of the Norwegian resistance. After the loss of his fiancée, and with his outfit whittled to shreds, he commandeers a coastal steamer and escapes to England to transmit secret evidence of the Nazis’s progress towards an atomic bomb at an isolated factory in Norway. There, he joins a team of dedicated Norwegians in training in the Scottish Highlands for a mission to disrupt the Nazis’ plans before they advance any further. As an audiobook, I listened to “The One Man” by Andrew Gross which I thoroughly enjoyed. It totally captured me. Hence, I decided to read “The Saboteur”. February, 1943. Both the Allies and the Nazis are closing in on attempts to construct the decisive weapon of the war, the Atomic Bomb. 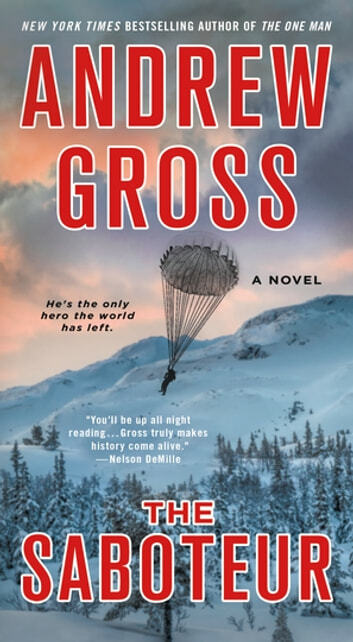 This book is based on a true story of “Operation Gunnerside”, a British-sponsored mission that sent Norwegian commandos into the Nazi-occupied region of their country to destroy the German nuclear weapons program. From a historical perspective, I found the story to be quite interesting. Denmark and Norway were both invaded and occupied by the Germans. Iceland and Greenland were under British or American protection and only Sweden remained neutral, cooperating with both sides. The event was previously captured in a movie called “The Heroes of Telemark” (1965). I found this book to be verbose and too descriptive, it tended to drag on for me. Additionally, I never warmed up to the characters even though they were interesting. The storyline never really captured me nor pulled me into the book. It is an interesting story and for that I give it three stars. Un roman historique, basé sur des faits réels, qui a l'étoffe d'un «thriller». Réserve majeure: trop «romancé», avec des histoires incidentes d'amours impossibles et sans pertinence. Globalement excellent.